Julien dyne is a percussionist, producer and beatmaster living in Auckland, New Zealand. Released last month on BBE, Pins and Digits, is his long awaited and highly anticipated debut album. Hot on the heels of Dyne’s critically acclaimed first release, the Phantom Limbo EP, this brilliant debut is a contemporary mix of wonky electronic beats, instrumental hip-hop, and the occasional dash of soul. In New Zealand, Julien Dyne is best known for his work as the drummer for Opensouls and Tyra and The Tornadoes, but he has in fact collaborated with many more artists along the years (Verse Two, Nathan Haines, Fat Freddy’s Drop, Ladi6). Not only is he a true musician who can play organic and authentic funk, jazz and soul, but he is also a gifted producer who can rock a computer and a few analog synths to get the best of them. On Pins & Digits he finds the perfect balance between these two facets, taking all of it forward. The album features guests spots from some of New Zealand’s most talented musicians including Jonathan Crayford, Paul Dyne, Lewis McCallum, Jeremy Toy (Opensouls) and vocals by Mara TK and Parks. So get ready for take off and enjoy the ride! 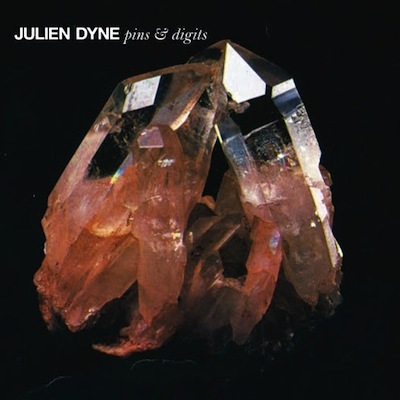 Find Julien Dyne’s music on or get more info on MySpace.